Scent of a Game is not just a novel, but an attempt to shake us all out of our collective ennui. It isn’t as if we are unable to grasp the impending horrors of the alarming ecological issues, but the fact remains that we are unwilling to face the enormity of the abuse we have inflicted on Nature. 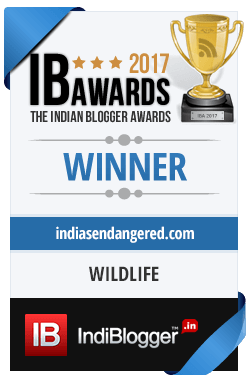 Raghav Chandra is a 1982 batch IAS officer from Madhya Pradesh, began to understand the gravity of the imminent danger of extinction faced by the tiger, when, in 2006, it came to his notice that every day a tiger died somewhere in the wild. This prospect of vanishing tigers sent him digging for information and eventually, led to the writing of this well researched, fictionalized tale which lays bare before us the truth about the state of wildlife conservation today. Through this book, we get a comprehensive view of the grim situation faced by our majestic national animal in the various reserved forests in India. Although it has been written as a novel, fiction appears to be just a framework on which the author wishes to hang the various nuggets of information. In this multi dimensional tale about the threat faced by the tiger from various quarters, he has successfully delineated the unholy nexus between the politicians, bureaucrats and international poaching mafia that has ensnared the great feline and how this renders the conscientious forest officials helpless in protecting the tiger and his habitat. 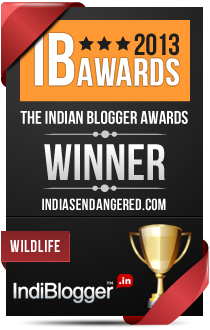 The story is set in The Kanha Tiger Reserve (KTR), near Jabalpur in Central India. Buree Maada, the prized tigress of the reserve has vanished without a trace. Although the KTR forest officials have attempted to keep it under wrap, this mysterious disappearance of Buree Maada is getting widely reported thanks to the investigative journalist Sherry Pinto. Even repeated attacks on her life fail to deter her from doggedly pursuing the poaching trail. Ram Chandra Prasad, an NRI in USA, is not overly alarmed by the disappearance of Buree Maada, complacent in the improbability of these distant events affecting his high flying life in faraway America. And yet, within a few days, his father’s prophecy of doom comes uncannily true when a series of misfortunes plague him. On his way to India to visit his ailing father, all his belongings are lost including his entire baggage, wallet and credit cards. His father passes away before his arrival. Even his attempt to fulfil his father’s last wish boomerangs and he ends up getting framed for illegal possession of a tiger’s skin which is allegedly the skin of Buree Maada. He fails to prove his innocence in court and ends up in jail. He is released on bail only on the intervention of the much admired philanthropist, Feroze Goenka, but Goenka too will extract his own pound of flesh in return for this favour. Ram Chandra Prasad is the very fulcrum of this tale. It is through him that the various threads of the narrative like illegal trade of the endangered species, game hunting and glamorization of shikar in the colonial days, criminal tribes as well as taxidermy have been woven into the fiction. What is interesting about the book is that Chandra has used a wide and varied cast of characters in the novel not just to make a more colourful narrative but so that all stakeholders in tiger conservation are represented – from the Silicon Valley business magnates to Chinese entrepreneurs, from selfish politicians pandering to vested interests to Abhimanyu Pratap Singh, the erstwhile Maharaja of Baikanthpur who doubles up as award winning film maker of environment film, from Gangavardhan Bishnoi, the conscientious forest officer dedicated to preserving the forests to the skilful animal poacher Jugnu Pardhi, a de-notified ‘criminal’ tribe whose ancestors were the notorious Thugee. The narrative spans many countries like Myanmar, Kalimantan, Sumatra and China to expose a large transnational network catering to international trade in endangered species worth billions of dollars and pretty much exposes the modus operandi as well as routes frequented by the organised poaching mafia. He has essayed the evolution of tiger poaching from the colonial times when the demand was basically for the skin, to the present when there is an unprecedented demand for other organs including tiger bones and blood fuelled by the traditional Chinese belief that virility is enhanced by consuming tiger parts. The book has much to recommend itself-well researched subject matter presented in a simple but taut narrative. It is quite simply a superb storyline. But sadly the story-telling is where this novel looses out. Characterisation seems to be Raghav Chandra’s Achille’s heel and the dialogue writing is amateurish at best. Theoretically speaking, these are good characters, but in reality he fails to bring them to life. They end up just being the mouthpieces to air the author’s research and opinions. During the last quarter of the novel, when he sets of on the poaching trail, all stakeholders either boast about themselves to Ram or just confides their darkest secrets in him as soon as the first opportunity to do so presents itself; which does not seem realistic at all. Moreover, at some places, the descriptions and explanations could have been abridged to facilitate the smoother flow of the narrative. Explanations about Indian mystical connections with the story, descriptions of the surroundings as well as the mannerisms of the characters seem superfluous at times and break the momentum of the story. I am totally willing to overlook the flaws in the story telling and would still recommend this book to everyone simply because this book gives us a bird’s eye view of the ground realities today and thereby helping us view the scenario in its entirety. The greed of the poaching mafia has reduced this great feline to just a commodity. If conscious and decisive steps are not taken immediately, we will not be able to prevent the annihilation of the Maharaja of Indian Jungles.